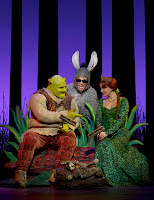 So we watched the much awaited and a packed show of Shrek the Musical at Rosemont Theater. If I was to describe it in one single phrase, it would be magical. I watched a musical of this magnitude after a really long time I thought to myself during the show. But it was indeed fascinating. Be it the hotheadedness yet the basic goodness of the heavily costumed and made up ogre Shrek or the great comedic skills and the charm of Princess Fiona, the goofy and extremely lovable Donkey or the selfish yet delightfully shortened Lord Farquaad, it was an engaging and very well crafted show. The beautiful sets just merged into each other very naturally and effortlessly like the pages of a fairy tale book. With just a drop of a curtain, the lovely woods magically transformed into the menacing castle of Lord Farquaad to next change into the dragon guarded tower where in lay Princess Fiona. The music was upbeat with the best songs for me being the ones with the feisty Princess Feona. She was nothing short of a riot as she danced and sang and joked with amazing facial expressions in 'Morning Person' and the sequence where she engaged in a competition of burps and farts with Shrek in 'I got you beat!' Another high point of the show was the incredible dragon that was a combination of a really big puppet manually operated by 8 people in a horse style! It played for only one weekend, the one following Thanksgiving here in Rosemont, IL. However, check out this link to see if its coming close to you and do grab the chance to watch it if it is. For all the technical details on the star cast and the very impressive and accolades winning creative team, read on! The role of everyone's favorite swamp-dwelling ogre, Shrek will be played by Lukas Poost. Liz Shivener will play the feisty Princess Fiona. Andr‚ Jordan is Shrek's lovably annoying best friend Donkey and Merritt David Janes plays the vertically challenged villain Lord Farquaad. Rounding out the cast of misfit fairy tale characters, the peoples of Duloc and Far, Far Away are: Willie Dee, Annie Fitch, Susan Leilani Gearou, Kelly Teal Goyette, Alexa Kerner, Rachel Khutorsky, Schuyler Midgett, Lyonel Reneau, Adam Steiner, Erin Sullivan, Chase Todd, Sarah Tranchina, Nadia Vynnytsky, Ryan Everett Wood, Chris Woods, Luke Yellin, Ian Frazier, Mara Gabrielle, Ryan Rubek and Laura Smith. SHREK THE MUSICAL features a book and lyrics by Pulitzer Prize(r) winner David Lindsay-Abaire (Rabbit Hole, Good People), music by Olivier Award-winner Jeanine Tesori (Thoroughly Modern Millie, Caroline, or Change). 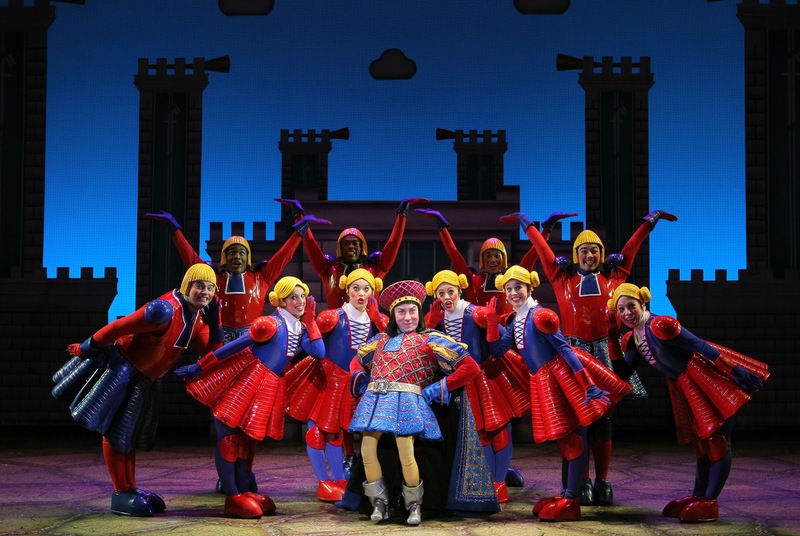 SHREK THE MUSICAL is directed by Stephen Sposito who recently served as Associated Director of the current Broadway revival How To Succeed In Business starring Daniel Radcliff. Sets and costumes are based on the Tony Award(r) winner designs by Tim Hatley (Private Lives, Spamalot) and Chris Bailey will recreate the original choreography by Josh Prince (The Bridge Project, The Jerry Springer Opera). SHREK THE MUSICAL was initiated when Sam Mendes, a big fan of the first Shrek film, suggested the idea of creating a musical to DreamWorks Animation's Jeffrey Katzenberg around the time the second film was in production. The musical is produced by NETworks Presentations, LLC. NETworks Presentations, LLC (Producer) was founded in 1995 by Kenneth Gentry, Seth Wenig and Scott Jackson. 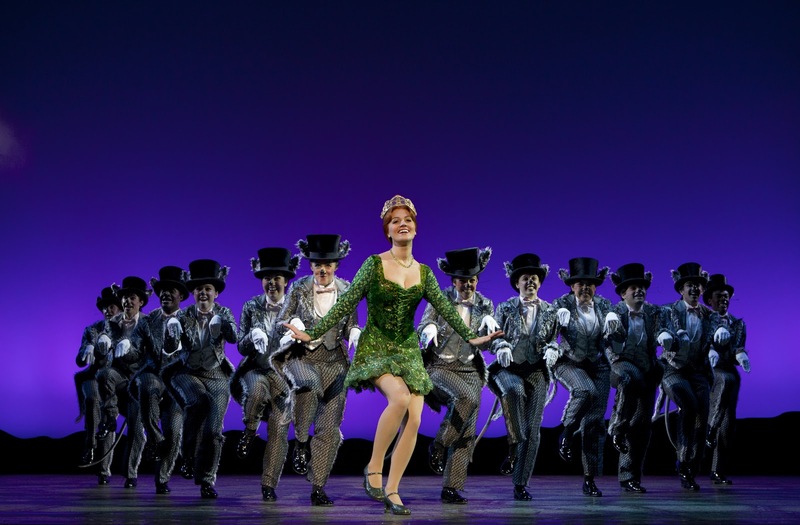 NETworks has produced and managed over 80 national and international touring productions. Previous productions: Little Women starring Maureen McGovern; Cinderella starring Eartha Kitt and Deborah Gibson; Fosse starring Ben Vereen and Ruthie Henshall; The Light in the Piazza; My Fair Lady co-produced with Cameron Mackintosh; Rodgers and Hammerstein's Oklahoma! ; Matthew Bourne's Swan Lake; Annie; Hairspray; The Wizard of Oz, Handel's Messiah Rocks, Spring Awakening, A Chorus Line and many others. Joining returning productions of Disney's Beauty and the Beast; Young Frankenstein; Rodgers and Hammerstein's South Pacific, based on Lincoln Center Theater Production; Blue Man Group National Tour and The New 25th Anniversary Tour of Les Mis‚rables this season are Shrek The Musical, Disney and Cameron Mackintosh's Mary Poppins and Lincoln Center Theater production of War Horse touring the U.S.